Not all quilt patterns are created equal. The samples in the quilt store are amazingly gorgeous. The quilt patterns literally leap off the rack into your hands. We didn’t bother to look inside the envelope because the sample was so-o-o-o captivating! Does it contain the dreaded "Quilt as Desired”? You can do anything. One step at a time. At Generations Quilt Patterns we believe you can and we’re here to help. You’ll find our site chock full of quilting techniques and tutorials. Written by quilters for quilters. All explained in a step-by-step format to guide you through each process. Frustrated by the pattern instructions? Don’t worry. It happens to every quilter at some time. We offer the alternative methods we use and recommend to our best buddies. Just think of us as your favorite quilt teacher available 24/7 to help if you get stuck. 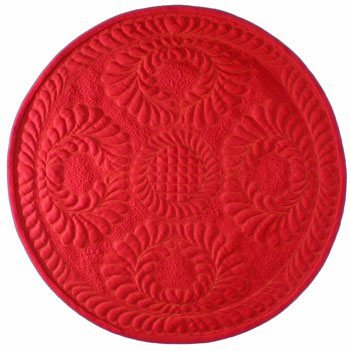 As this site grows look for topics like Choosing Fabrics, Playing with Quilt Designs, Applique and Piecing Techniques for the Beginner, Beginning Machine Quilting, Quilting Feathers, Binding and Finishing, to name a few, as well as a Free Quilt Block Pattern Library with oodles of blocks in different sizes. If you don’t find what you are looking for Contact Us with your questions. We’ll do our best to answer them AND add the information to our website for your quick reference. Welcome to Generations Quilt Patterns.